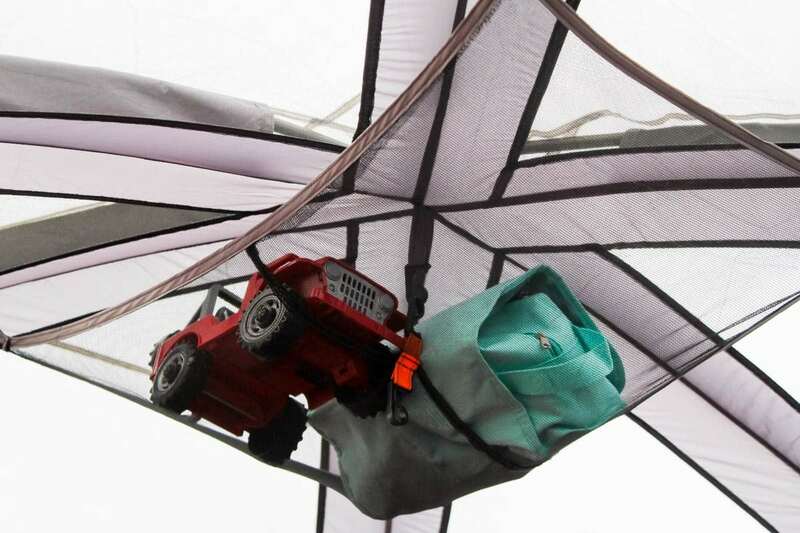 Camping with a toddler can be both fun and challenging. It’s an experience all children should have at some point. 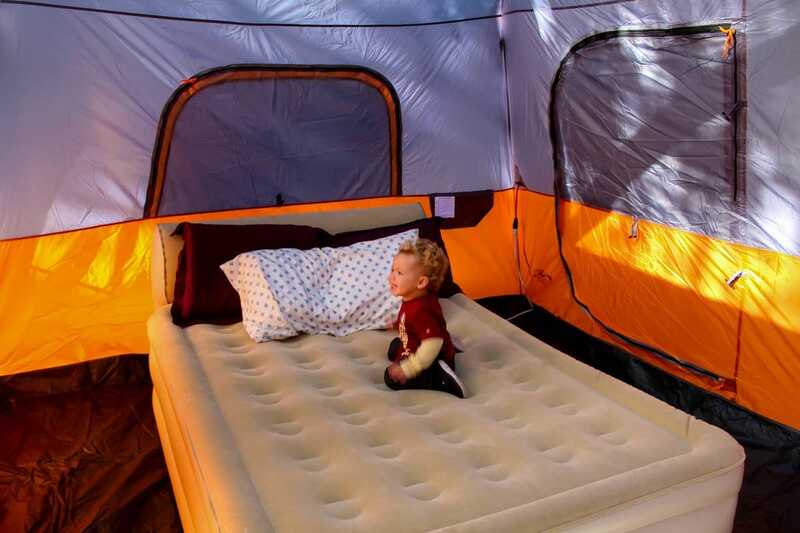 Sleeping in the wilderness will give your child a thrill and make the trip exciting for everyone. A lot of planning goes into a camping trip whether you have a child accompanying you or not. 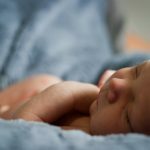 Bringing a child along with you causes for extra packing, planning, and organization. 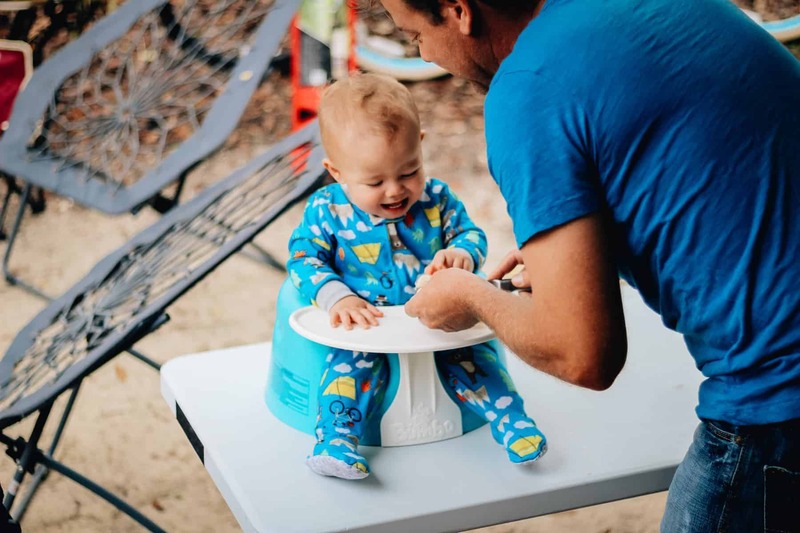 Going on a camping trip ourselves with a one-year-old gave me a whole new outlook on camping with a toddler. As a frequent camper, I never realized how much needs to change when packing and planning for an adult camping trip versus a camping trip with a child. I learned a lot during this camping trip and there are many things I will do differently next time compared to this trip. 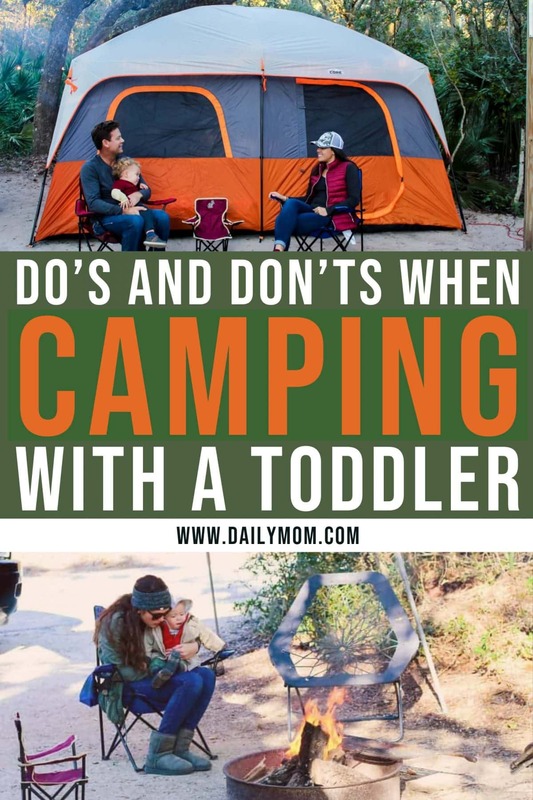 I am sharing my experience to help other families who may be nervous about bringing their child on a camping trip for the first time and offering tips and suggestions on what to do and what not to do when camping with a toddler. 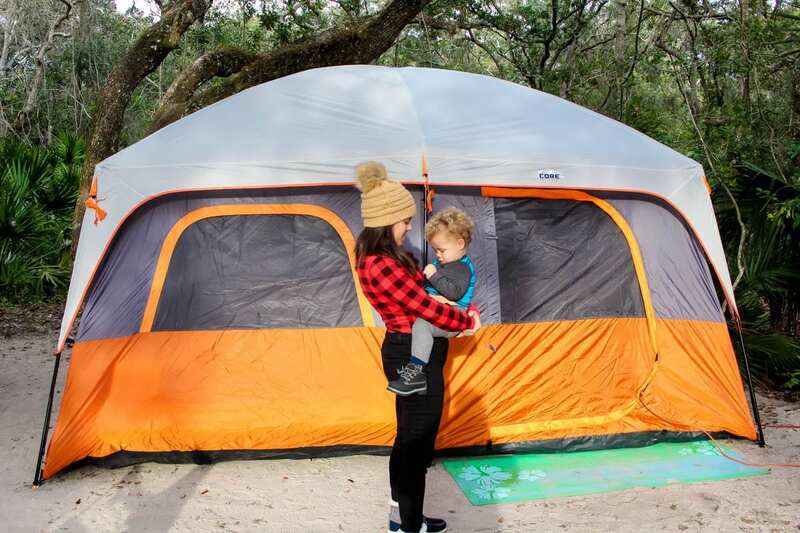 Even if you have a small family, when it comes to tents, the bigger the better. 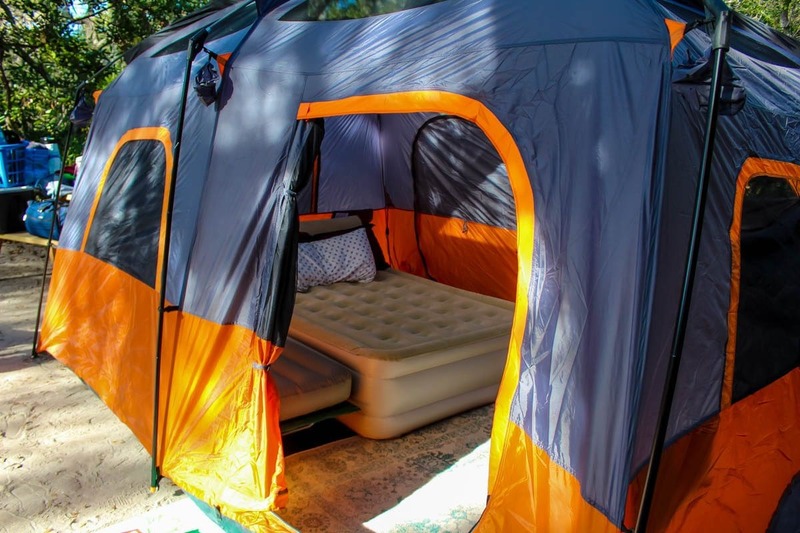 A larger tent will allow for both sleeping space and living space. 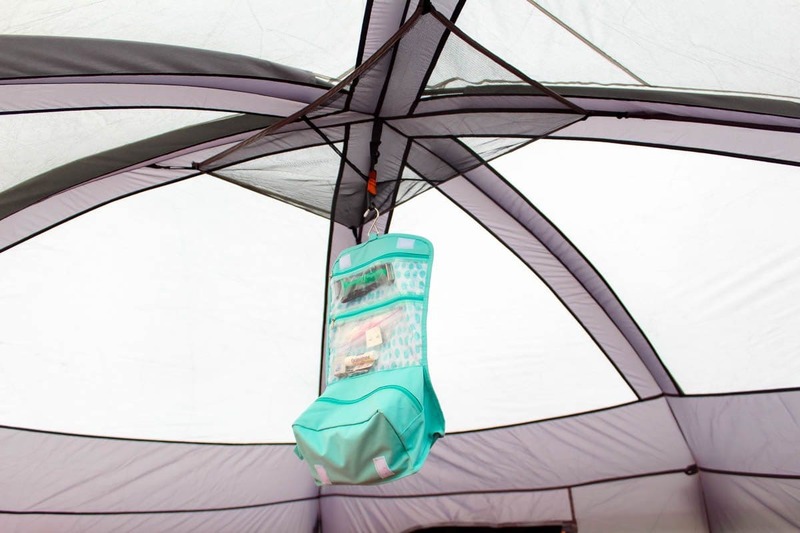 The extra room will give your little one the freedom to move around while still inside the tent. 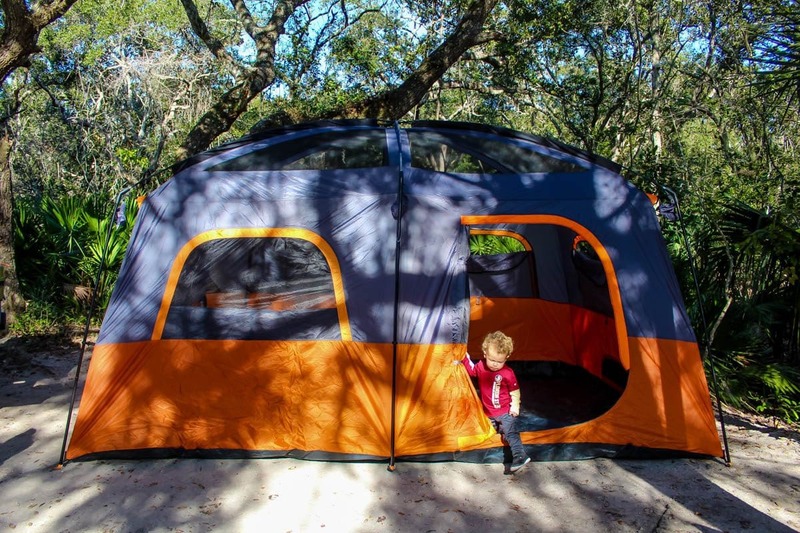 The size of the tent is important especially when you are wanting your toddler to stay inside. 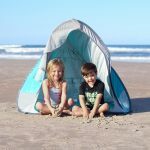 Whether it is time for bed or you are sheltering from inclement weather, your child most likely will not want to be forced to be cramped inside a small tent. 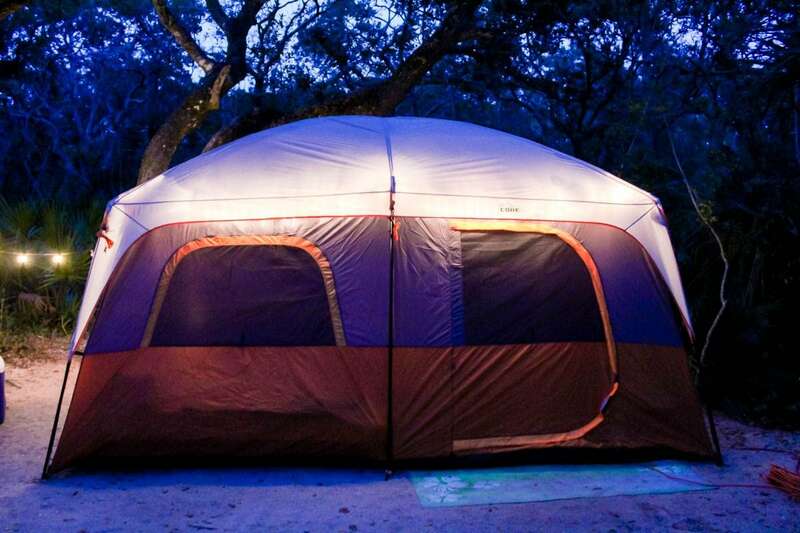 As a family of three, we always opt for a 10 person tent to be able to spread out and be comfortable when camping. 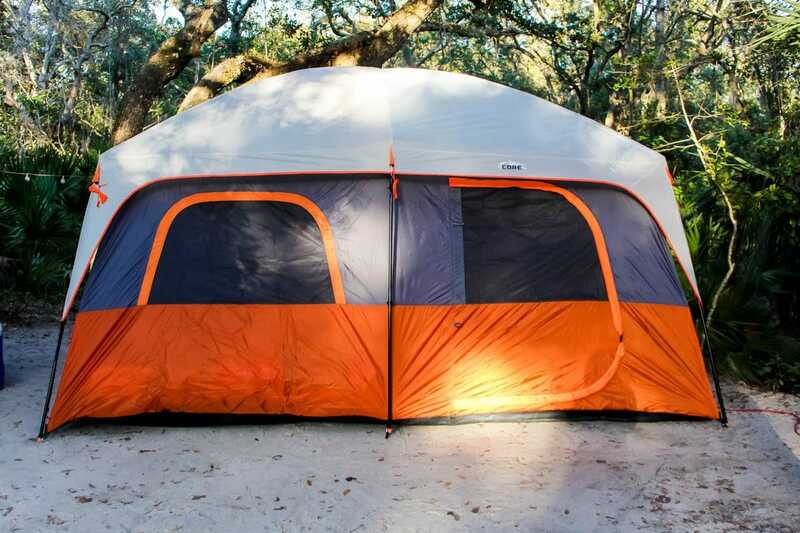 The CORE Cabin Tent is a 14’ x 10’ straight wall tent large enough for 10 people. 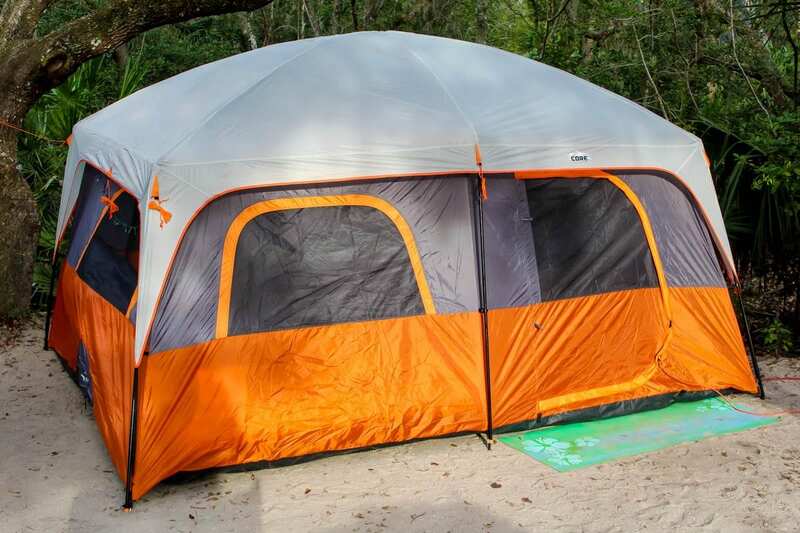 The straight wall design of this tent provides a spacious interior with a 7 foot center ceiling height allowing you to stand straight up while inside the tent. 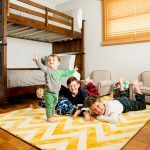 The included room divider is a great way to create two rooms within the tent allowing the whole family to stay together while still giving parents some privacy from the children. Keep your supplies handy and off the tent floor by storing some of your smaller items in the gear loft or the organizer pockets. 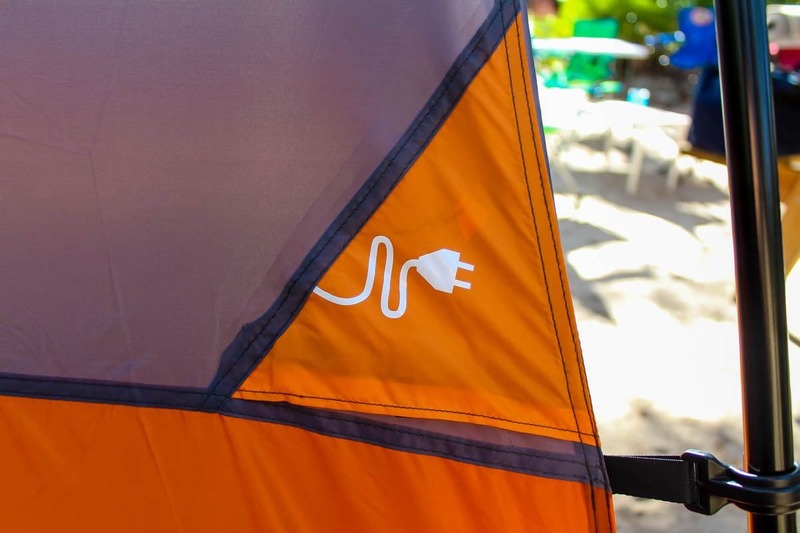 The electrical port will give you electricity inside your tent securely and safe from water. No matter what the weather will be during your trip, the CORE Cabin Tent will keep you safe from the elements. If rain is in your forecast, the water resistant H2O Block Fabric that all CORE tents are equipped with will keep moisture out of your tent while the fully-taped rainfly keeps you and your gear dry and protected. If you are expecting warmer weather, the rainfly is removable allowing you to utilize the panoramic mesh ceiling to let a breeze in to keep you cool. Additionally, the adjustable ventilation on each side of the Cabin tent will let the hot air out and the cool air in. If it looks like cooler temperatures will surround your camping trip, keep everyone nice and toasty by zipping up all of the windows and doors. 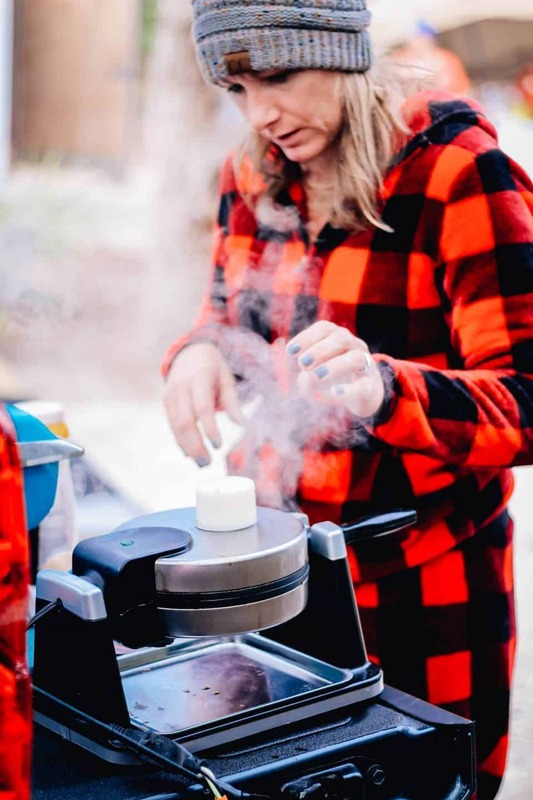 Many times you do not even need to leave the campground to have a day filled with activities. 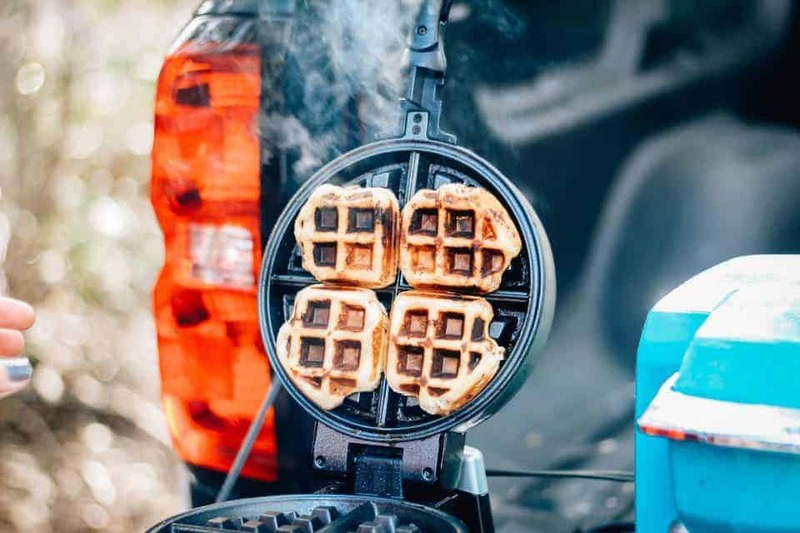 Take some time to explore all of the amenities the campground has to offer. Bring along bicycles or take a hike and to find fun things to do. Most campgrounds have a bulletin board where they post activities that are occurring during your stay. Things like scavenger hunts, nature walks, group campfires, and informative talks will all be new experiences for your child to participate in. 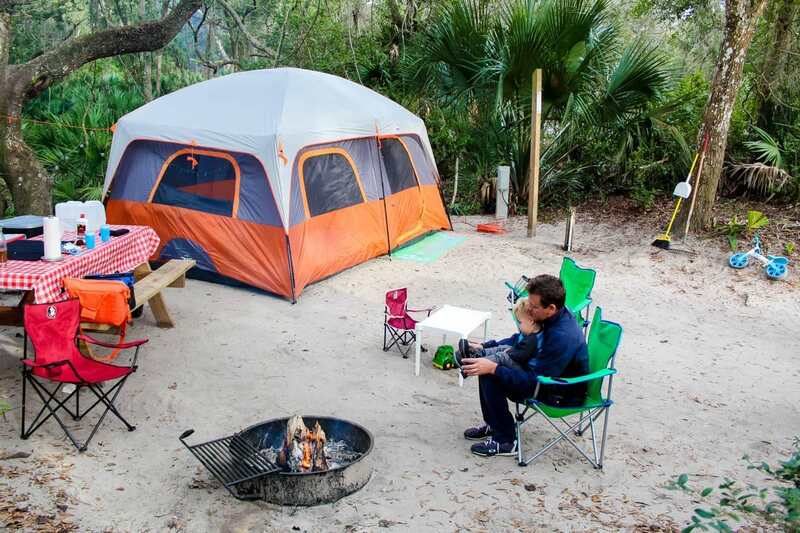 Depending on your location, a majority of campgrounds will also have rentals available. Research the campground in advance to see what items such as bicycles, kayaks, fishing poles, or snorkeling gear are available to rent. 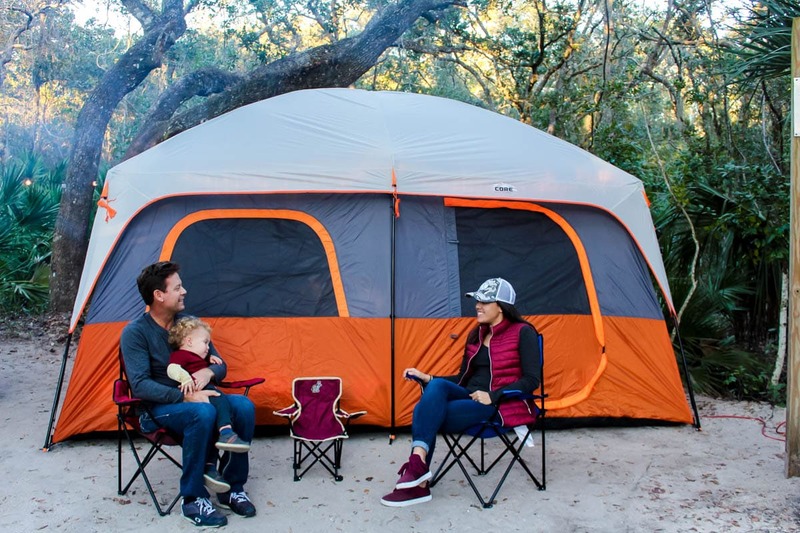 Take advantage of these rentals to decrease the amount of things you have to pack and bring along with you on your camping trip. Many campgrounds also have one, if not multiple playgrounds throughout the property, fun for your little ones to play on. 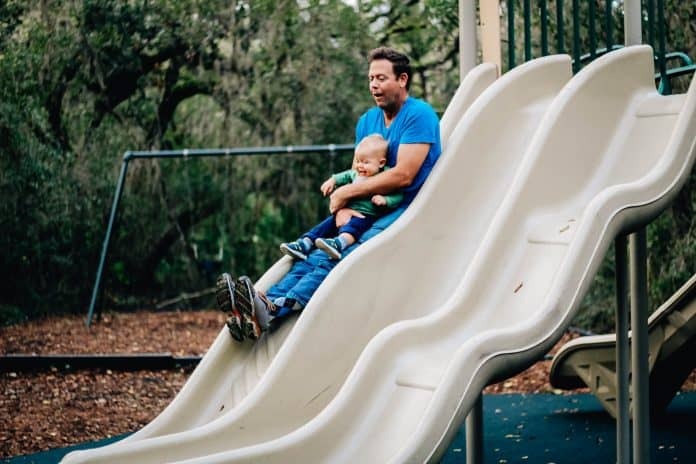 We know how easy it is for children to get dirty on any type of vacation. This dirtiness will dramatically increase on a camping trip. Many campsites are dirt-based, making it easier for children to get dirty quicker. 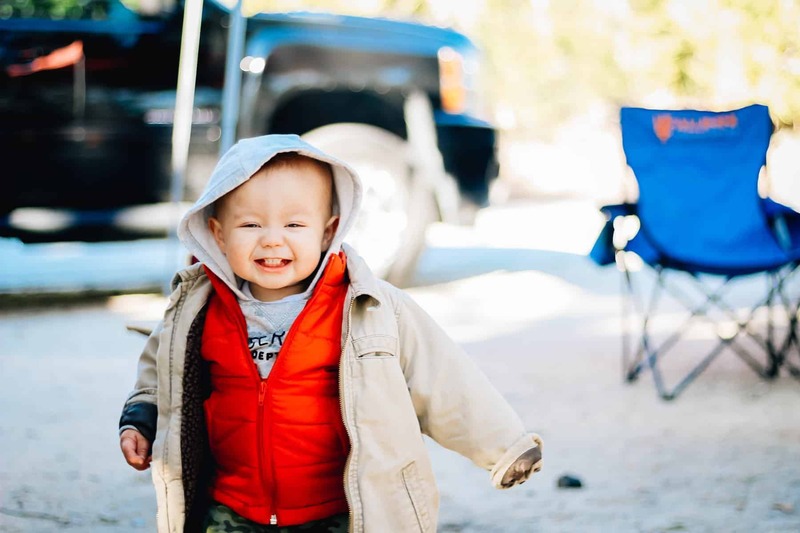 Pack more clothes than you think necessary for your children because most likely, even though most campgrounds have washer and dryer is available, you may not want to or have time to do laundry for them or yourselves. We changed our toddler’s clothing several times a day on this camping trip because he was constantly playing in the dirt and of course getting messy during meals. Do not pack any clothes that you don’t want to get ruined on your camping trip. There is no need for your child to be dressed to the nines when staying in the wilderness for several days. 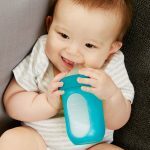 Consider the type of clothes that will be best not only for your child, but most convenient for you when needing to change their outfits frequently. Avoid shirts and pants that have numerous buttons or complicated zippers and ties. On the same topic of clothing, consider what the weather will be like during your camping trip to determine what clothing options to bring for your child. As we all know, weather can change at a moment’s notice. 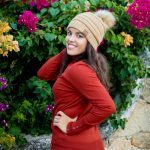 Since you will not be at your home to quickly change your child’s outfit if the temperature increases or decreases or inclement weather moves through, you will need to bring several kinds of clothing. 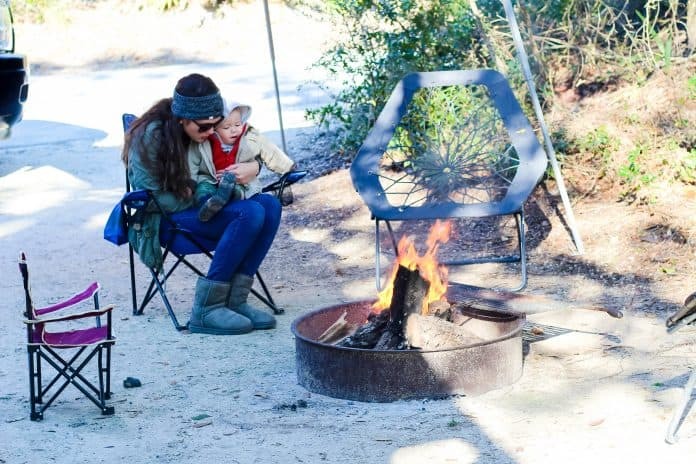 If you are going camping in the winter months, you will only want to pack cold weather gear. 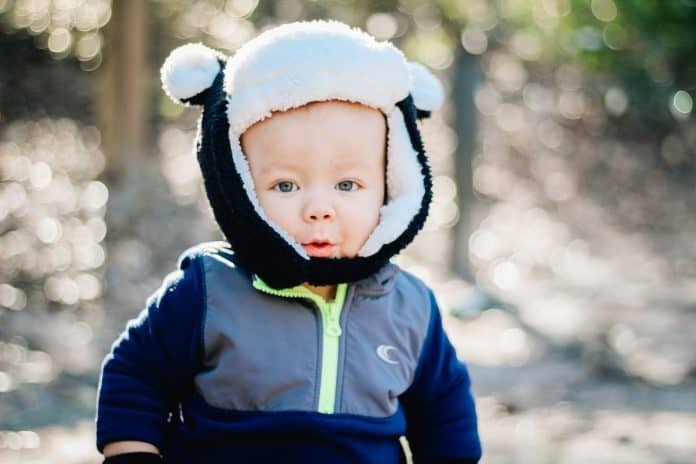 The best thing to do is bring layers to either keep your child warm or to remove when it warms up. Also take into consideration footwear. Bring comfortable shoes for your child that you don’t mind getting dirty since they will mostly be walking on sand, rocks and dirt. Again, with most of the campgrounds being dirt based, when rainy weather moves through, you will be left with a wet and muddy flooring. Invest in a pair of galoshes to put on your toddler to keep their shoes from getting wet and them walking around in soggy footwear. 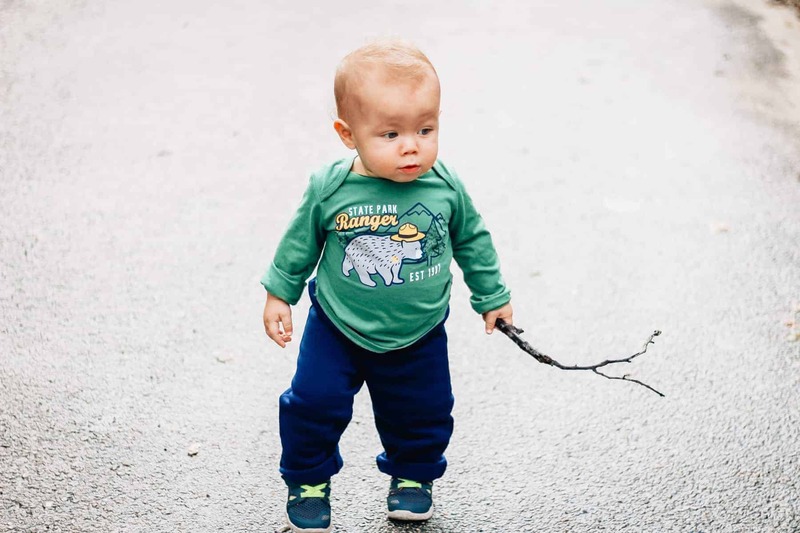 After the rain has passed, they won’t be able to resist jumping in the puddles, so rain boots are the optimal choice for shoes until the ground has dried. 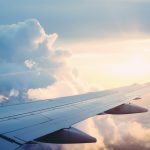 Although it seems like common sense to pack toys and activities to keep your child entertained while on a trip, keep these items to a minimum. Your child will be surrounded with new scenery to explore, they won’t even pay attention to their favorite toys. 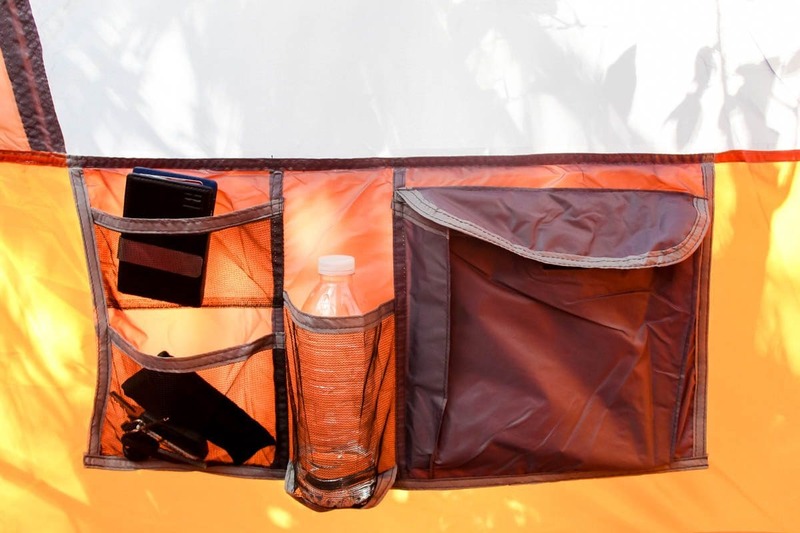 This will eliminate unnecessary overloading and save space in your tent or RV. This is their chance to freely play in the woods, which for many kinds depending on where they live, may never have the opportunity to do this. For many children, a campfire will be the first time that your child has seen or been around fire. They may be enamored by the sight of the fiery glow and be very drawn to it. When you light your first fire of the trip, take a minute to discuss fire safety with your children no matter their age. Even if your child is little and doesn’t quite understand, use simple words like “hot” and “no” when referring to the fire. Always keep a watchful eye on your children when burning firewood and keep in mind actions that you take when your children are watching. 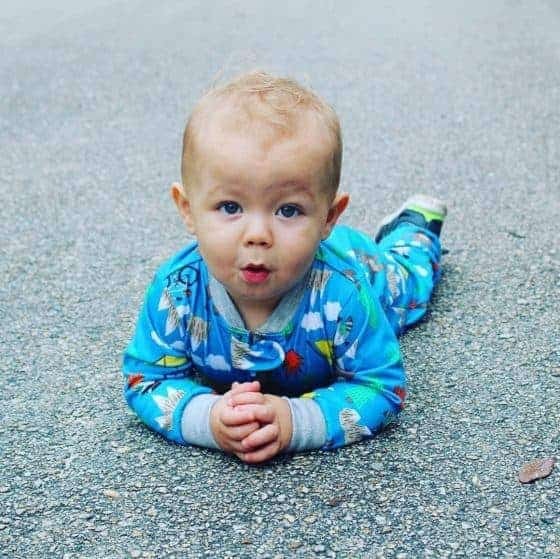 As we all know, children tend to mimic their parents and if they see us acting reckless around a fire, they may do the same. You can never have too many baby wipes on a camping trip. Although there are restrooms and showers available in most every campground, depending on the location of your campsite and your available source of water on your site, you may not have access to running water when you need it most. Keeping baby wipes on hand will allow you to keep your child somewhat clean and take care of quick messes. Planning your meals ahead of time will not only save you from not having food options available but also makes meal time easy. Choose meals that everyone will like and can feed multiple campers at once. This will save time instead of cooking individual food items that only certain people like to eat. 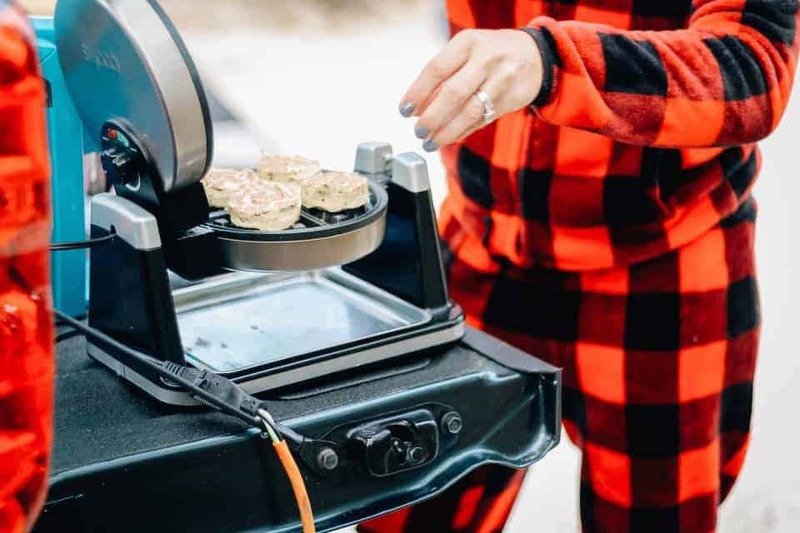 Bring cooking items that have multiple uses such as a flat griddle that can cook food for all meals, a waffle maker, and a crock pot. Drizzle icing on warm cinnamon rolls and ENJOY! 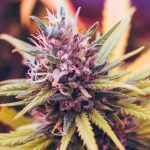 One of the most important items you can bring on a camping trip is a camera. 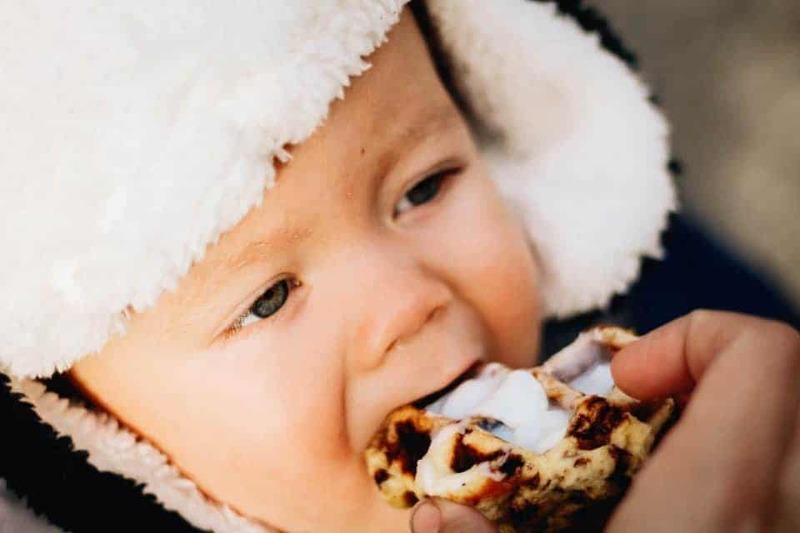 Especially if this is your child’s first camping trip, you will want to document it. 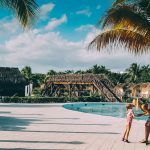 Being able to look back at the pictures you took of your child having a new and fun experience will make the memories last forever. 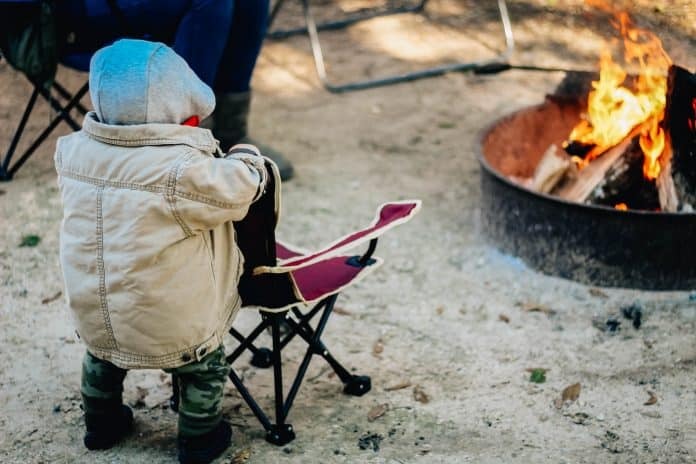 Make sure you bring a Camera, extra batteries, and back up memory cards to take pictures of your child’s camping experience. 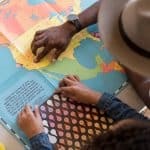 Document every camping trip to show your child growing and changing on a fun, family tradition throughout their childhood. Is your wanderlust kicking in? The kids getting stir-crazy? 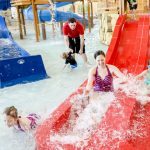 Check out these Best 10 Weekend Getaways for Your Family.